President Donald Trump plans to veto a pair of Democratic-led gun control bills currently circulating the House. The bills, H.R. 8, the Bipartisan Background Check Bill of 2019, and H.R. 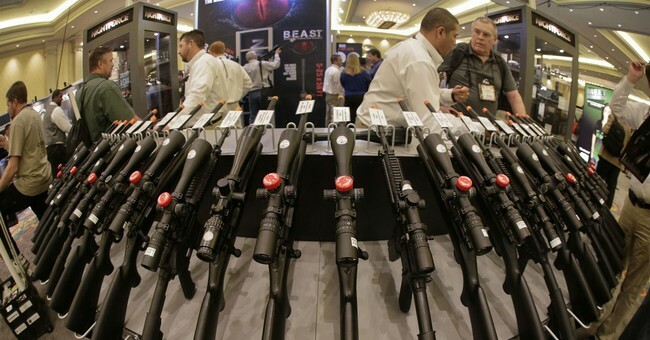 1112, the Enhanced Background Checks Act of 2019, are anti-gunner's latest push to turn law-abiding citizens into criminals. H.R. 8 would require that certain transfers, loans, gifts, and sales of firearms be processed by a federally licensed importer, manufacturer, or dealer of firearms. H.R. 8 would therefore impose permanent record-keeping requirements and limitless fees on these every day transactions. H.R. 8 contains very narrow exemptions from these requirements, and there exemptions would not sufficiently protect the Second Amendment right of individuals to keep and bear arms. One of the examples Republicans have continually talked about are domestic violence situations. If I have a friend who comes to me and says her boyfriend is beating her and she fears for her life, I would be turned into a criminal if I allowed her to borrow my firearm without a background check at an FFL. I could face up to $100,000 fine and one year in prison, simply for helping a law-abiding friend in a dangerous situation. The problem with these steps: background checks are only valid 30 calendar days after the FFL initiated them, so the very first day the buyer attempted to purchase the gun. A buyer would have to initiate the petition process almost immediately in order to make sure they receive an answer before the 30 day mark.